Unmanned aerial systems (UASs), more commonly known as drones, have made huge technological strides in the past decade. From military applications, both as surveillance and weapons platforms, to consumer toys, and finally as enterprise tools, drones have gone from being a weekend hobby for a few dedicated enthusiasts to a fast-growing and rapidly evolving multi-billion dollar market. Some estimates predict $12 billion in sales by 2021, with a CAGR of 7.6% (Business Insider). With all of the negative media coverage given to consumer drones, it is tempting to write-off the entire market as nothing more than expensive toys for adults and children alike. However, this seriously undervalues the extremely complex sensors, computing systems, and relevant IoT capabilities of enterprise-grade drones. In this short series of articles, we will focus on enterprise-grade drones and drone applications, where aerial systems cost approximately USD5,000 to USD50,000. In part 1 of this series, we discuss how these types of drones are being leveraged in novel ways. There are myriad use cases for enterprise-grade drones. Below, we discuss 4 relevant use cases. Agriculture use case. 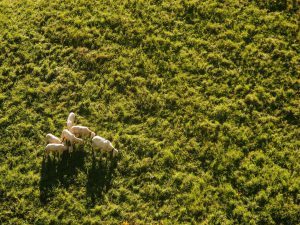 Drones are seeing widespread adoption in the agricultural sector, especially with the advent of lower cost and lightweight near-infrared cameras. These solutions help maximize the health of agricultural projects, thereby, increasing agriculture profitability. By utilizing normalized difference vegetation indexing (NDVI) measurements of vegetation, a drone can leverage flight planning automation to automatically fly and map hundreds of acres of crop fields, building developments, or farmland on a single battery charge. While aerial surveying is certainly not new to the agricultural sector, the cost and ease of drone automation and surveying, rapid data processing, and access to dashboards and visualizations, enables near real-time insight into the health of agricultural projects. Inspection and surveying use case. Enterprise drones can allow enterprises and service providers to greatly improve the way companies access high resolution and high accuracy digital sitemaps. One of the biggest beneficiary technologies for inspection and surveying is photogrammetry, which captures a sequence of typically downward-facing and oblique angle photograph to make precise measurements of objects or points. 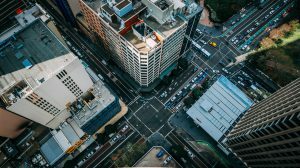 By combining high-bandwidth remote internet access, GPU/CPU-rich public-cloud services, and in many cases consumer-grade on-board drone cameras, UAS platforms are able to produce millimeter-accurate maps with quick turnarounds. Several vendors have even productized this process, offering photogrammetry-as-a-service and automating the process of flight planning, photo sharing, and model creation. These service and technology improvements allow enterprises and service providers to quickly and accurately map even rapidly changing environments. Stockpile analysis use case. Stockpile analysis, typically performed in conjunction with machine-learning algorithms, opens new capabilities for enterprises. 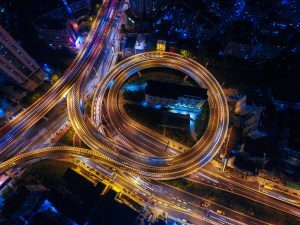 By providing machine learning and AI services with aerial data, enterprises are able to survey, identify, and quantify specific objects within aerial images. Such tools can be used to provide daily counts of containers in a shipping dock, numbers of vehicles on a lot, or volume of raw materials on a mining or manufacturing site. 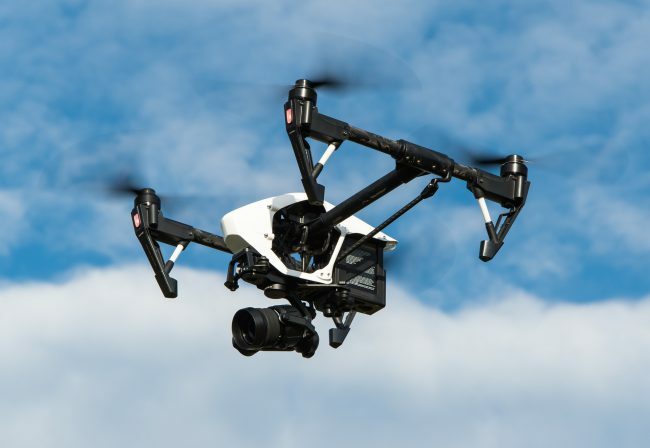 In addition to being more cost effective than a helicopter or fixed-wing manned aircraft, many drone-based solution leverage cloud connectivity and cloud processing to provide near real-time visualization and analysis. Public safety use case. Enterprise-grade drone usage for public safety continues to increase. Several features of drones including the low cost of UASs and flight planning and deployment automation make their use in public safety appealing. Public safety organization can simultaneously use up to hundreds of drones for a variety of public safety applications including rescue and recovery, border and customs enforcement, and natural disaster and fire monitoring. Today, many of these tasks are executed using manned aircraft. However, when public safety organizations rely on manned aircraft for these tasks, the operational costs are quite high due to strict communications, flight planning, and airspace requirements. While it is true that drones also require a large amount of planning and airspace awareness, a fleet of drones can be controlled and operated entirely by autonomous systems for flight planning, flight operations, take-off, landing, and refueling. Combined with advancements to modern imaging systems such as lightweight combination visible-light/forward-looking infrared (FLIR) cameras, these advancements in automation allow a drone-based public safety solution to be much lower cost and lower risk than traditional manned aircraft. All of these various enterprise applications leverage drones in different ways to achieve different outcomes, but each requires integration between aerial systems, in-cloud computing resources, and typically other ground-based sensor and operator systems. This makes UAS platforms an excellent real-world application of IoT technologies. In part 2 of this series, MachNation will discuss how IoT technology is applied within the aerial domain.